Mr. Altunkaya brings close to 15 years of Professional expertise to DataExpert. Since 2001, he has been working at Data Expert having Consultant, Senior Consultant, Business Development Manager and Partner positions respectively. 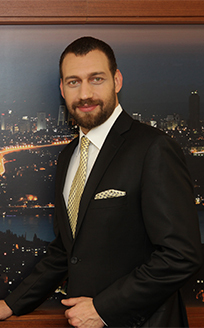 Mr. Altunkaya specializes in searches at management levels, executive and non-executive board member positions. Mr. Altunkaya, however acting as a generalist specifically focuses in Technology, Consumer, Industry and Business Services practices within DataExpert. He has significant search experience in Executive and Management positions. Over the years not only assessing more than 4000 candidates while placing more than 200 executives for major clients mainly ranking in Global1000, he additionally conducted several searches across the world especially in the EMEA region. Mr. Altunkaya, continues to add value to clients ranging from start-ups to multinationals by injecting intra-entre-preneurship into organizations. In addition to his knowledge on leadership subjects and company structures, he provides board level management consul- tancy to companies to appoint non-executive board members, structuring the boards, corporate governance subjects, organizational transformation and building up the company strategy. Mr. Altunkaya holds an MA degree from Bahçe?ehir University in Marketing, BA degree from Istanbul University in the major of Business Administration. Additionally he studied at Brighton University about Psychology to gain knowledge about Human Psychology.